Do you need a professional website and lack the design or developing skills? No problem! 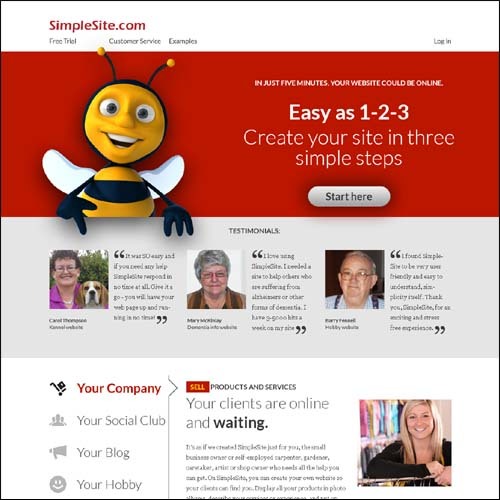 There are plenty of great, free online website builders you can use. You can create your stunning website in just minutes! 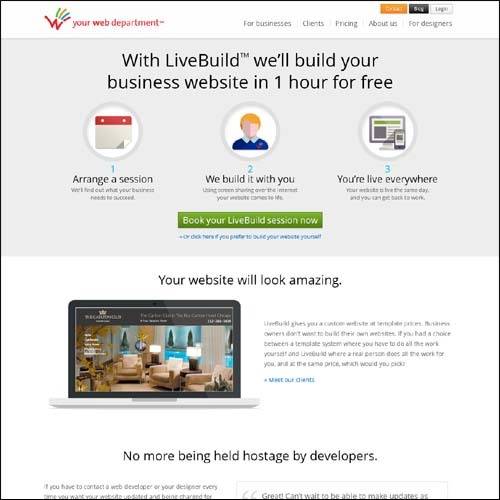 We selected 20 free online website builders just for you! Create your new website today! 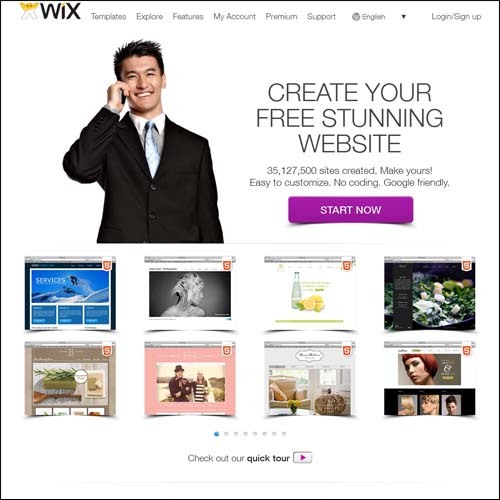 Create a free website with Wix.com. Customize with Wix’ website builder, no coding skills needed. Choose a design, begin customizing and be online today. 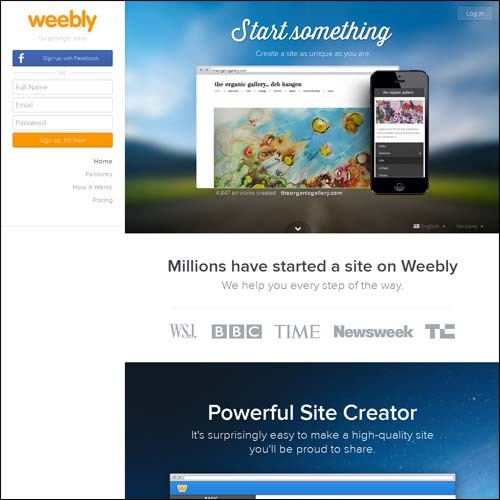 Named one of TIME’s 50 Best Websites, Weebly gives everyone a surprisingly easy way to create a unique site. 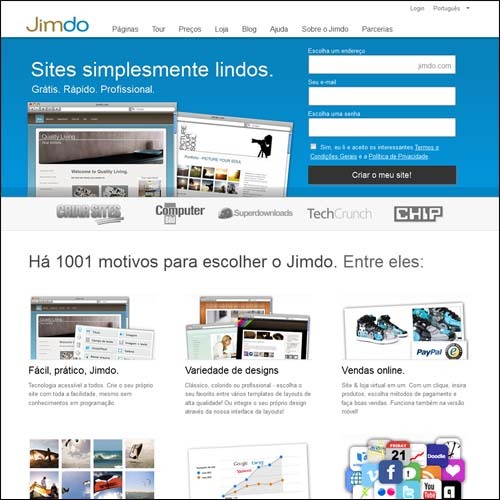 Make a free website, blog or online store with this great free online website builder. 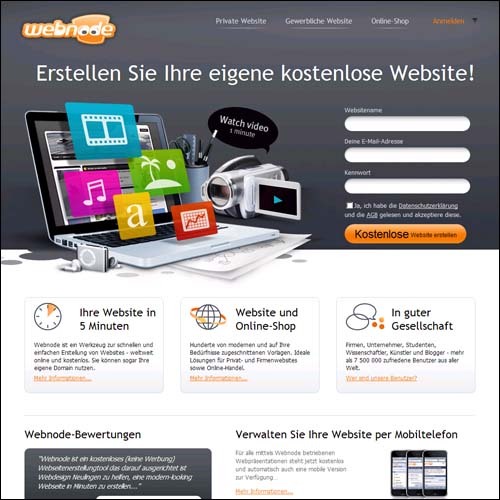 Creating your own website with Webnode will be quick, easy and fun! You don’t need any technical skills. Create a free website, start a blog or open an online store right now. 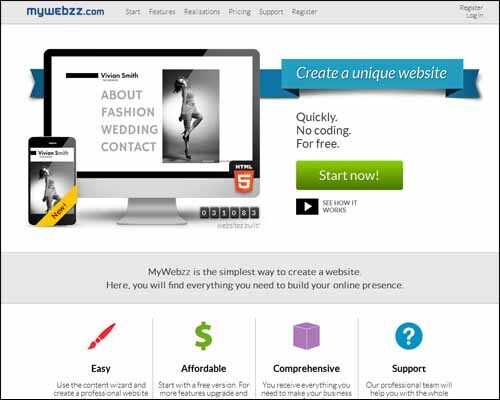 MyWebzz.com is the simplest way to create a website. Here, you will find everything you need to build your online presence. 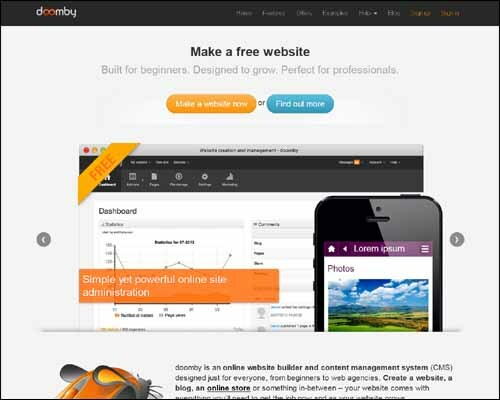 Create a website easily with doomby: the free website builder. Everything you’ll need to build and host your website, and manage your site content and visitors is available for you. 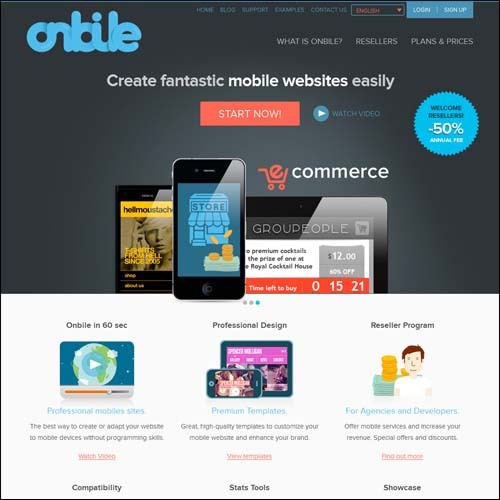 Onbile is a free online platform to create mobile websites easily, without programming knowledge, using premium templates with high quality design. 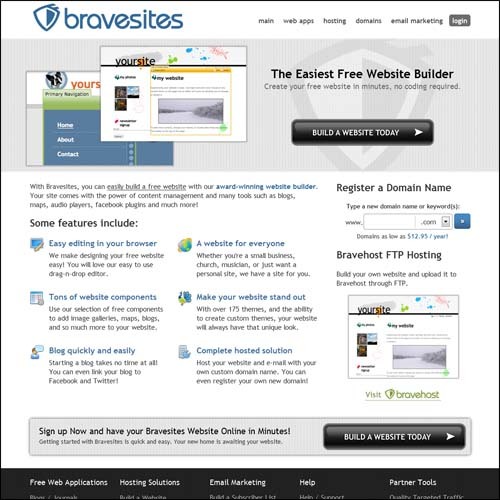 Build your website using the easiest website builder, Bravesites. 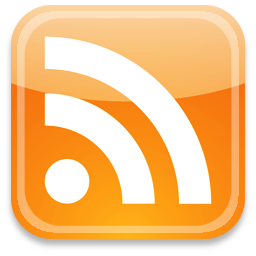 Add web tools such as blogs, maps, image galleries and more! 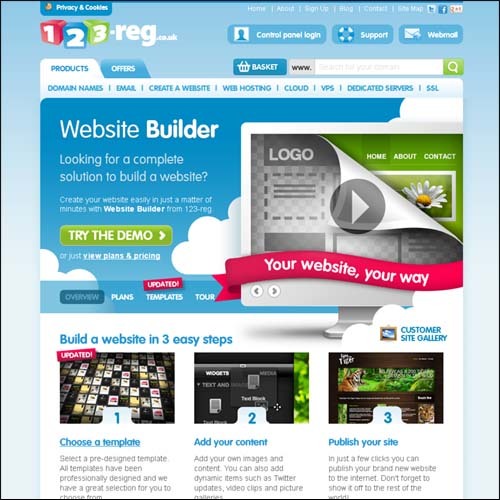 From domains to web hosting, email and website builder – 123-reg, UK’s largest registrar, makes it easy to get your personal or business website online. 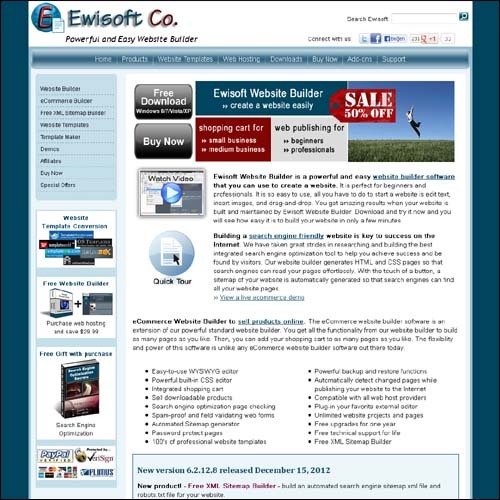 Ewisoft Website Builder is a powerful and easy website builder software that you can use to create a website. It is perfect for beginners and professionals. This website has another great option. They will build your website for you using screen sharing. In just 1 hour you’re ready to go live! Angelfire is a great place to build and host a website, with free and paid hosting packages. Use Angelfire’s excellent site builder tool to get a website in minutes! Fast and easy – one of the most popular online website builders in the world, with no ads and your own domain name. ALLYOU is the perfect online portfolio and website builder for creatives. Easy-to-use, code-free and with a very high standard of design. 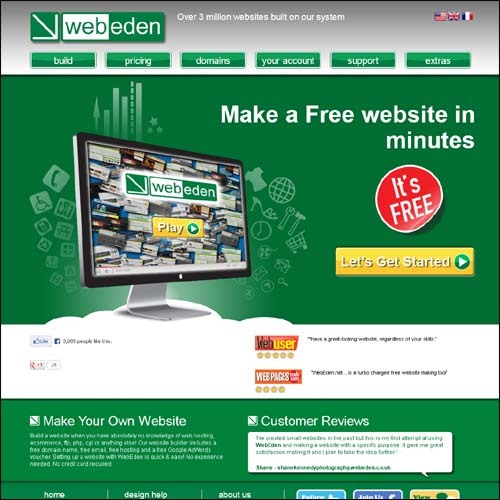 The WebEden.co.uk free website builder shows you how to make a website even if you’re a beginner. Setting up a website is easy, and includes a free domain. 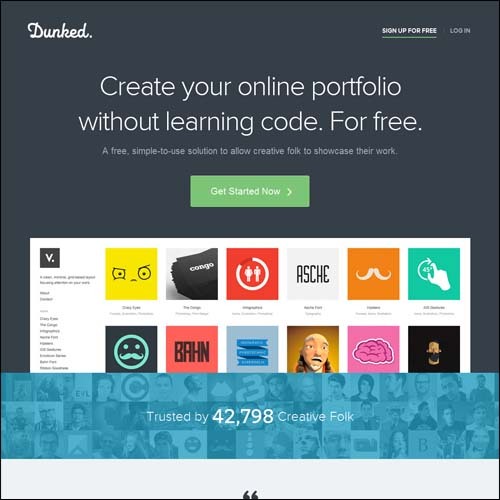 Dunked makes creating your online & mobile portfolio website super simple. 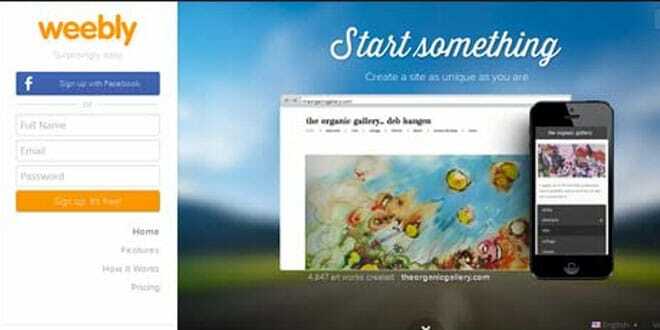 Showcase your design, illustration, photography and other creative work in a very easy manner. 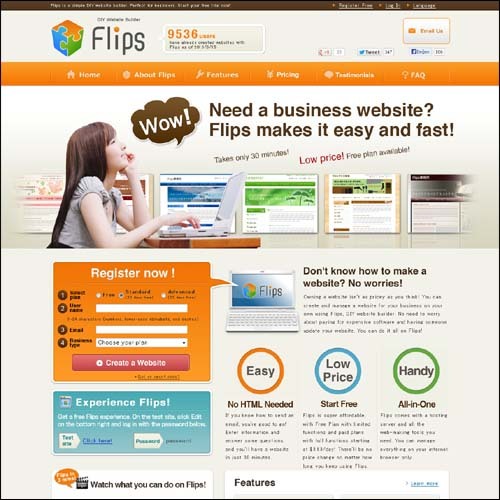 Create a website in just 30 minutes with Flips, simple DIY website builder. No need to know HTML. 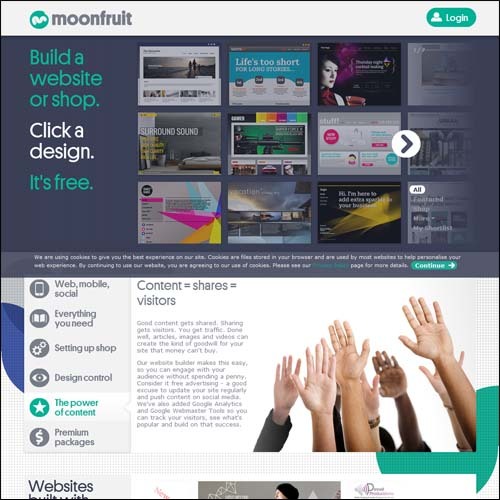 Moonfruit offers a free website and online shop builder that allows you to ‘publish once, be everywhere’ and have total design control of your pages, blog posts and more! 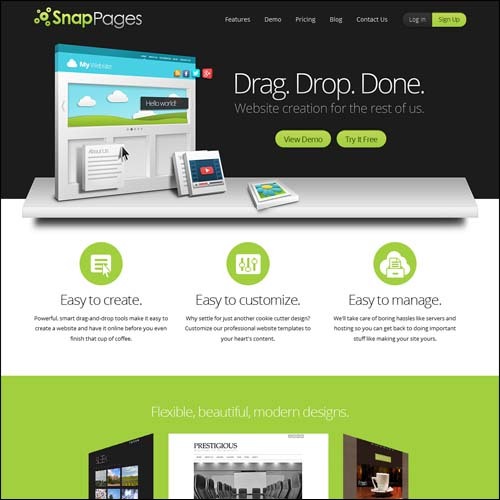 SnapPages makes it easy to create an online website. Now anyone can build and manage a professional quality website with drag-and-drop simplicity. Most of these are free for 14 days- then there are a variety of plans to choose from- I think that should be made clear in the article. Thanks for the extensive list! Are you sure that Webeden is free? I’m quite sure they are a premium service?